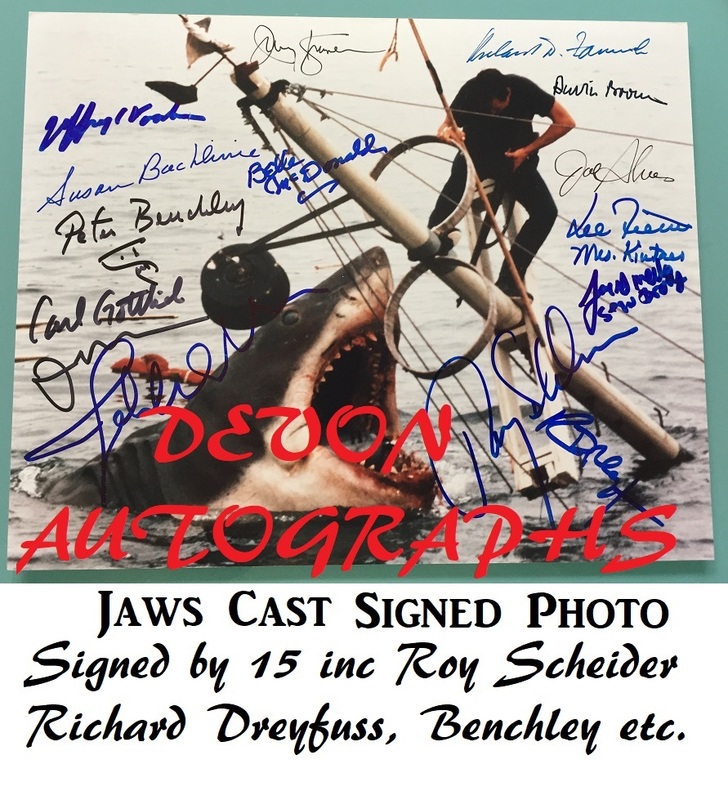 One of the most amazing collection of Jaws autographs we've ever seen on one photo. Absolutely stunning, and a wonderful investment piece. Features the end scene when Chief Brody kills the Great White Shark. 8x10 Stunning condition, obtained from top 'in person' collector. 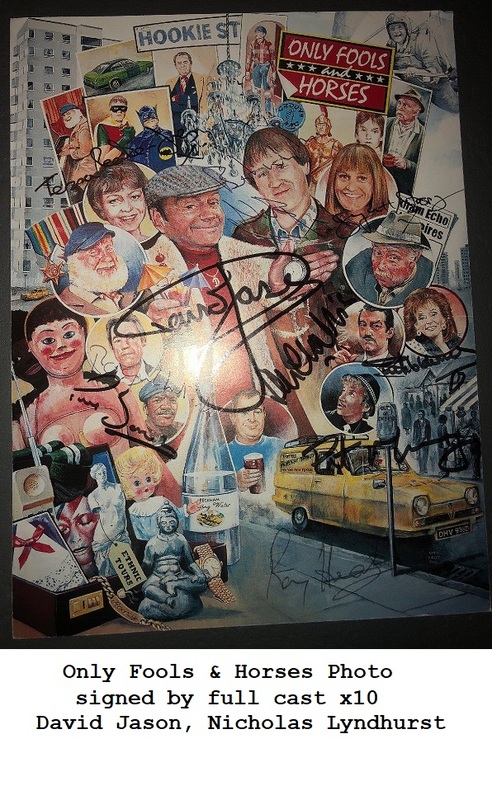 You will not find a finer signed 8 x 10 with so many of the original actors again. at the Mayor's request right before the hoax shark attack. Comes with our own Devon Autograph COA and Lifetime Authenticity Guarantee. Devon Autographs UACC Registered Dealer #RD336.